Growing up in an Asian family that emphasised the importance of cooking with the freshest possible ingredients (local and home grown preferred), my mum was always conscious about our drinking water. “Never drink directly from the tap” and, “drinking water has to be thoroughly boiled” were her mantras when I was growing up. When the household filtration system trend began, my mum bought one home almost immediately. I remember it was a bulky cylindrical filtration system sitting beside our kitchen tap with multiple hoses running between the filtration system and our kitchen tap. Ever since then, she only cooks with filtered water. Since we’re such a soup-loving household (it’s a norm to have clear chicken broth to go with our main meals in our family), we all noticed there’s more clarity in terms of flavours in the soup. After all, my mum’s light chicken broth was not heavily seasoned. When BRITA provided me the opportunity to try the 3-Way Water Filter Tap, I was excited to be able to use filtered water in my cooking again! Usually, I use boiled water in my cooking and on occasion, bottled water when I make ice cubes and drinks. Disregarding the hassle of boiling water whenever I need it for cooking purpose, making cold drinks using bottled water can be costly in the long run. 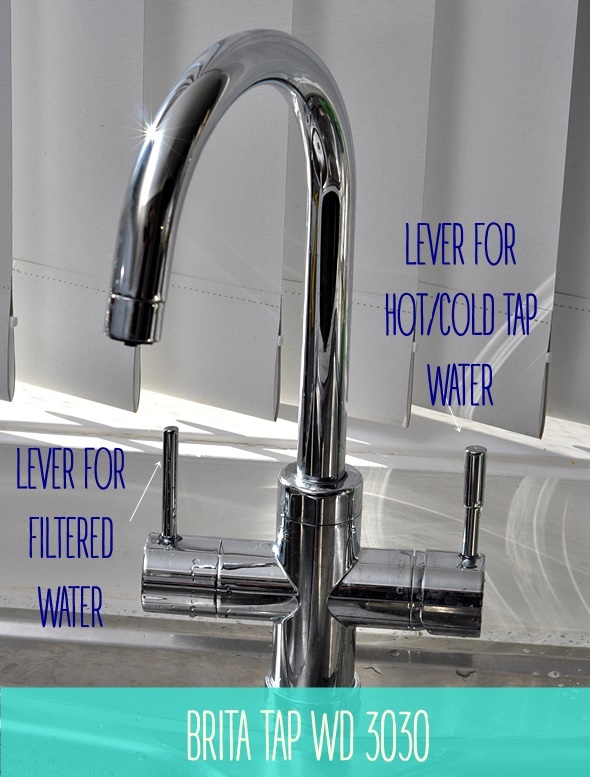 I was pleasantly surprised to see how slick the 3-Way Water Filter tap is. 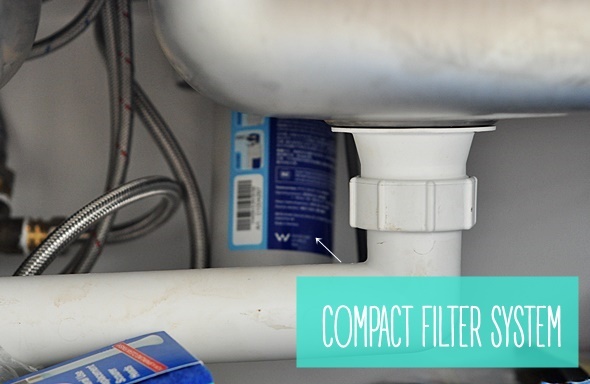 What I like about this tap is the compact filter system which sits out of sight under the sink, and it does not take up much space. The changeover from my old tap to this BRITA tap was a smooth one – no drilling into my kitchen bench top which was a big relief! Call me impatient, but the stream rate of filtered water is very important to me. I remember our old filtration system back home was testing my poor mother’s patience, in her attempt to fill up a stock pot with trickling filtered water. 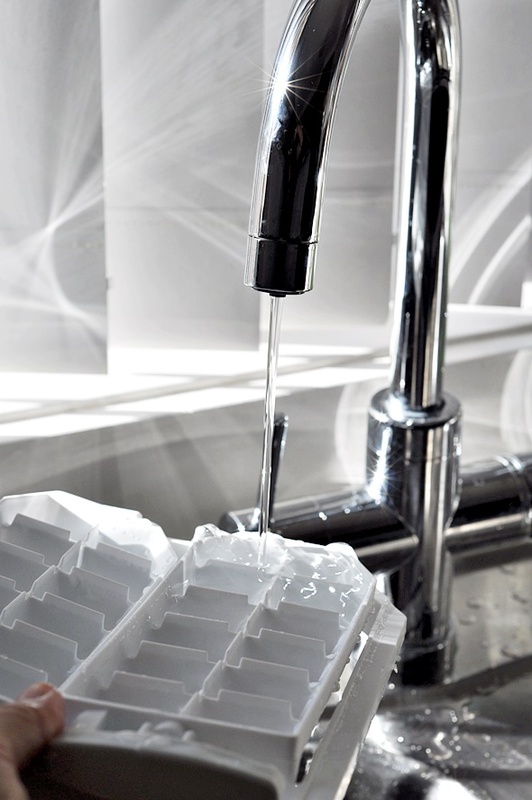 With this BRITA tap, on the other hand, the flow of the filtered water is adjustable, depending on if you want to quickly fill up a stock pot or a gentle stream to fill up an ice cube tray. 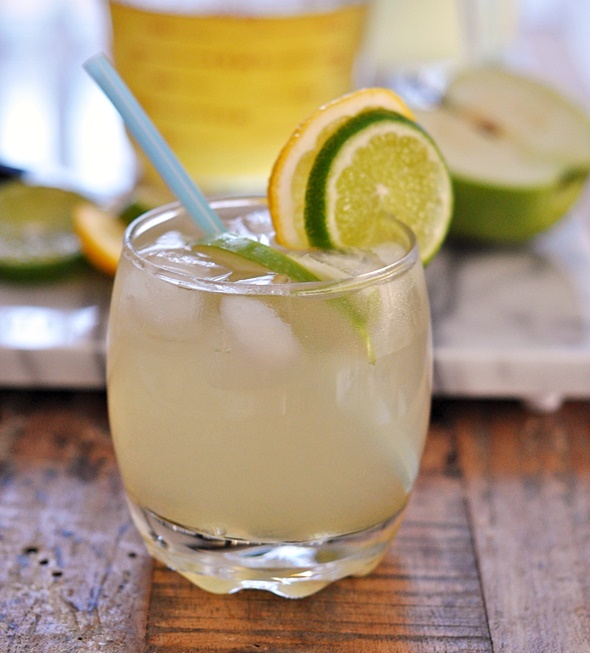 Speaking of drinks and ice cube trays, I have decided to take my new BRITA tap for a “test drive” with a home made lemon and lime syrup recipe by the celebrity chef Gary Mehigan, who is also the BRITA Water’s ambassador. As this recipe yields quite a bit of syrup, I thought I would also share with you a few drink ideas that incorporate the home-made syrup. In a medium sized saucepan, place sugar in a pot along with the zest of 3 lemons and 2 limes. Juice lemons and limes to make 500ml of juice, add 500mls of filtered water and stir half of this mixture with sugar and zest in the saucepan. Place over a medium heat and gently bring to a simmer stirring to dissolve the sugar. 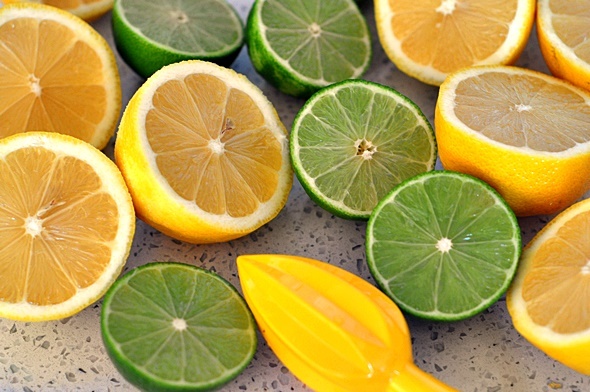 Remove from the heat and add the remaining lemon-and-lime-juice-filtered-water mixture. Cool the syrup and pour into a bottle with a rubber seal and cap. 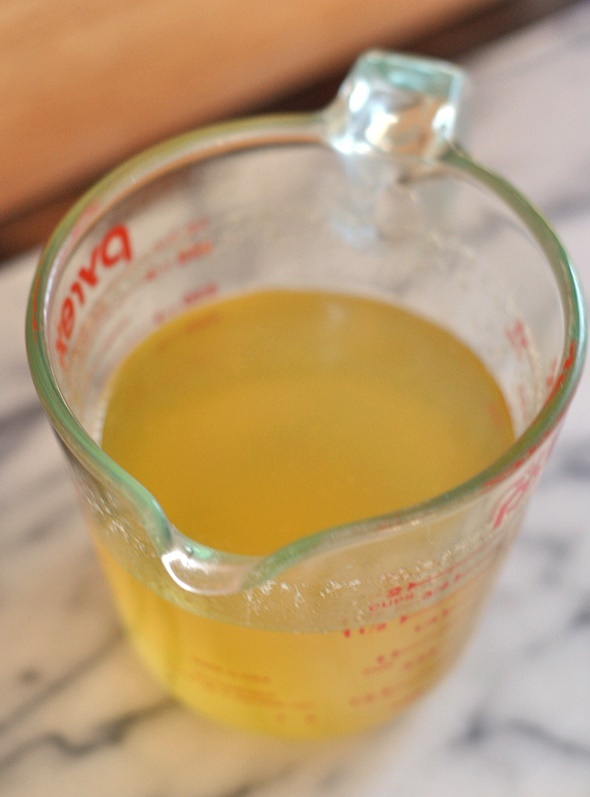 If you prefer, strain the zest from the syrup before bottling. Brew a teabag with 1/2 cup hot water in a heat resistant cup. When the tea reaches your preferred strength, remove the teabag. Allow the tea to cool to room temperature. Pour the tea in a tall glass, add the home made syrup to taste and fill the glass with filtered water. 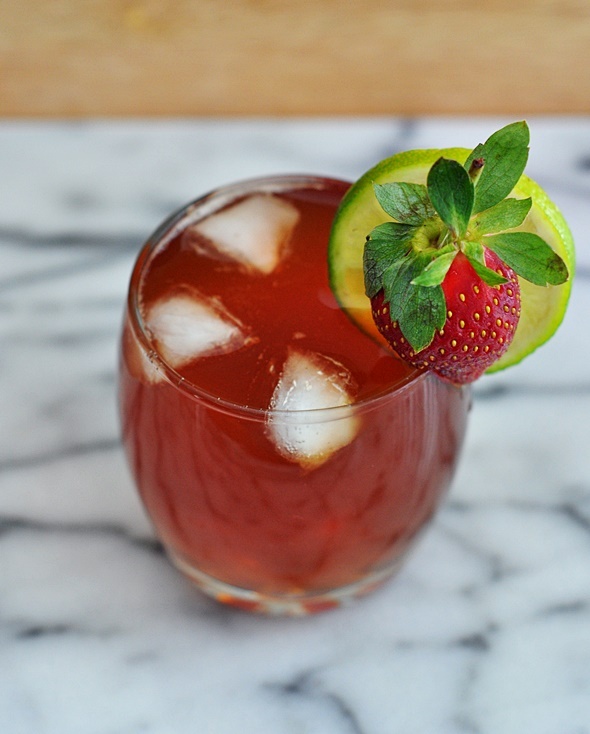 Add ice cubes and garnish with a slice lime/lemon and a strawberry if you like. Add one cup of barley and ten cups of filtered water into a medium sized pot. Boil for an hour and the barley water is ready. You can drink it hot or cold. 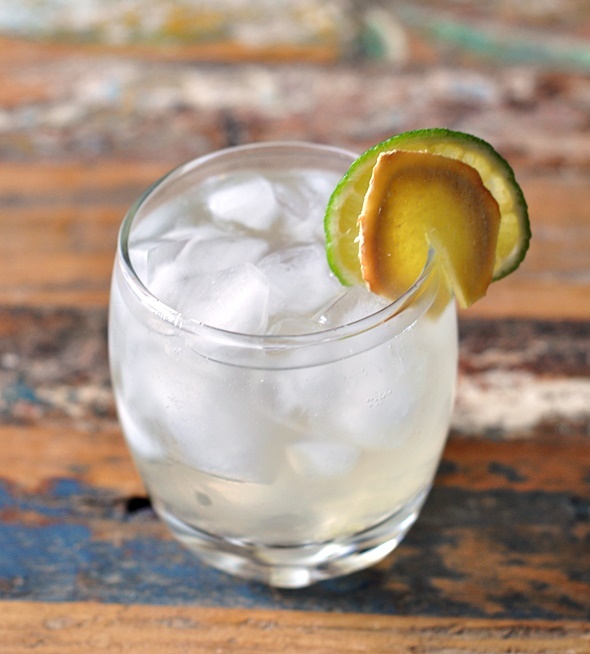 Add the home made syrup to taste and there you have it, lime and lemon barley water. 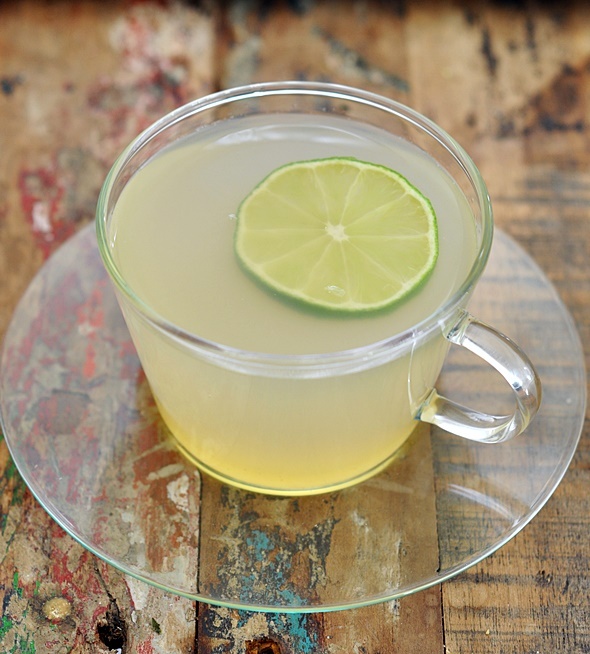 Grate a pinch of ginger (more for a stronger flavour), add syrup and top up with filtered water and ice cubes. Ginger ale is one my favourite drinks! Thanks to BRITA, Nuffnang is running a ‘Fresh Recipe’ network competition from August 6 to 27, you can find out more about the competition here. All you have to do is to write up your own ‘fresh recipe’ blog post and share your URL on the Nuffnang blog post for a chance to win a $500 or $250 gift voucher at The Essential Ingredient. Have fun creating your own ‘fresh recipe’!